Set on a corner lot in Lakewood Heights w/ mature trees providing shade among the well kept homes & manicured yards - you will love this community! 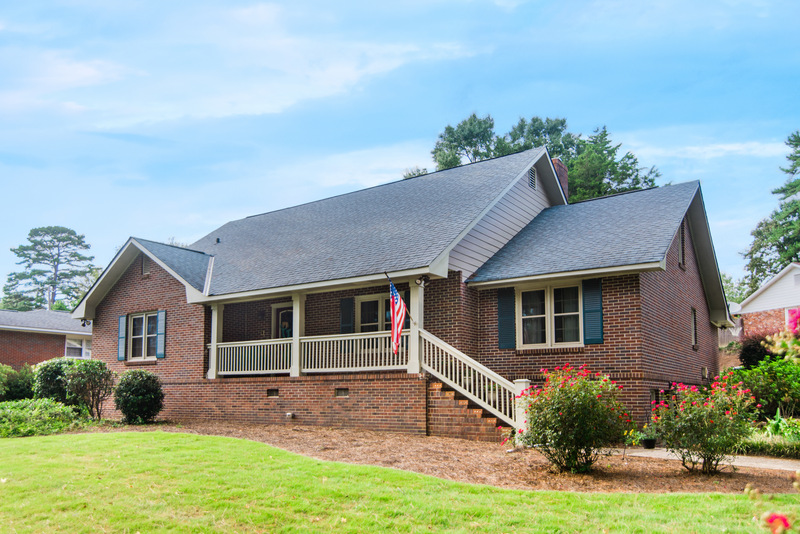 Just a short walk to Lakewood Golf Course & minutes to shopping on Summerville Rd. - GREAT location! This floor plan is unique w/ 3 levels & multiple living areas to easily accommodate your family's lifestyle! The backyard has large patio for outdoor living, green space & storage! You can have it all here! Charming appeal inside & out! Main lvl w/ formal living rm, formal dining rm & family rm w/ brick fireplace & back yard access. The kitchen features custom cabinets w/ overhead lighting, bkfst bar area & exposed brick accent wall. Master on main w/ private ensuite - half bath and full bedroom w/ awesome built ins! Upstairs is 2 bedrooms & updated full bath. Basement has private outdoor access & is the perfect hangout spot!